If you have never been to the Isles of Scilly or stayed on an 'off island' you may be wondering how it all works. Below is a list of the questions people most frequently ask but of course if your question isn't covered please get in touch. How can I find about travel to the Isles of Scilly? Visit the Isles of Scilly Travel website for more information about flying or sailing over to the Scilly Isles. What do I do when I get to the airport on St. Mary's? Catch the minibus to St. Mary's quay where you can either leave your luggage in the waiting room and go for a wander before catching the boat to St. Martin's at lunchtime or around 3:30pm. If I come on the Scillonian ferry, what do I do when I arrive on St. Mary's? Make sure your luggage has a red St. Martin's label on it and has been put in the St. Martin's container on the Scillonian. Then it will automatically be transferred to the correct boat. You will need to catch the inter island boat at lunchtime and your luggage will already be on board. What do I do if I am going to arrive after the boat has left or in the winter? Ring or email Tresco Boat Services 01720 423 373 / trescoboats@tresco.co.uk to find out about other boat times or to book a boat. What happens when I arrive on St. Martin's? When you are on board your boat to St. Martin's, ask the boatman which quay you will be going to, Highertown or Lowertown, then ring the farm on 01720 422169 and let us know you are on your way. We will meet you and take you and your luggage to your holiday cottage. What about shopping on St. Martin's? We have an excellent general stores on the island, which can provide most of your holiday needs. There is also a bakery, cafes and a fish and chip shop. We are more than happy to place a grocery order for you and collect it so it is ready in your holiday home when you arrive. How do I get to other islands and explore Scilly? During the summer a boat leaves St. Martin's every morning at about 10am returning about 4pm, and during the course of a week, visits all the other islands depending on tides/weather. At other times of the year, there are plenty of boats to St. Mary's and other trips depending on the weather. Keigwin B&B (£30 - £40pp) - This very friendly B&B is in one of Penzance's large Victorian villas set just back from the sea front. It is run by Stu and Fran who used to live on Scilly and Stu works for the company who runs the boat and planes to the islands, so they understand the needs of guests travelling to Scilly. 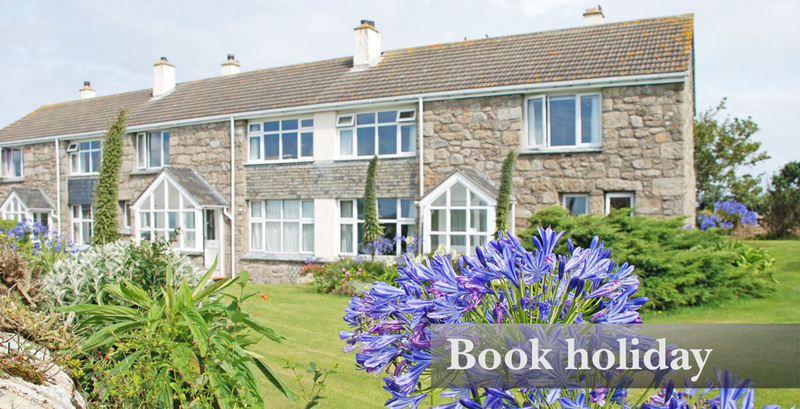 St Michaels B&B (£100 - £120pp) - A very comfortable and stylish B&B which is situated in the pretty village of Marazion very close to the causeway for St Michaels Mount. Hotel Penzance (£130 - £220pp) - Penzance's smartest hotel, a stones throw away from the Railway station with an excellent restaurant. Artist Residence - A quirky boutique hotel located in the quiet, back streets of Penzance with superb restaurant and bar. No, it isn't really possible to bring your car to the Scilly Isles, as all large freight must be craned on and off the Scillonian. You really don't need your car, as the road on St. Martin's is less than a mile long. Perfect for exploring on foot! There is a car parking service operating out of Penzance, called Scilly Parking, who will collect you and your luggage and take you to your departure point and collect you on your return. There are no taxis on the 'off islands', including St. Martin's, but there are on St Mary's. Are there any facilities for disabled people? There is a mobility buggy for hire on St. Martin's and a sand buggy that can be hired on St. Mary's. We have an access statement for the cottages; please contact us for a copy. Is there Internet access in the cottages and on St. Martin's? Yes, there is free WiFi in both cottages and also in our lovely Island Hall. If travelling to the Scilly Isles by air from Exeter you might find this useful.